lechemusic: ¡Zimmer – Paris Plage (Summer Tape) lechestyle: Schoffa Millom Bright Blue Striped Shirt! The purveyor of horizontal disco is back with an awesome mixtape for celebrating that summer isn’t over yet. Full of the usual goodies, starting with relaxed pop and then moving on to deeper house. Schoffa is one of my definitive favorite Finnish fashion brands. They sell Italian manufactured shirts and ties under their own brand, with some cool sartorial accessories and a fast growing women’s line as well. 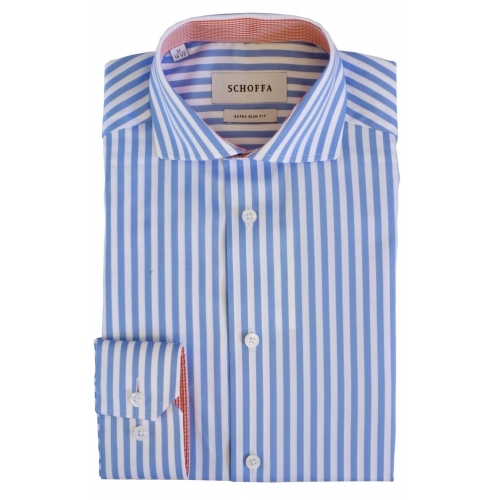 Here is one of their great shirts featured in a thick bright blue stripe and a contrasting orange inside collar. lechemusic: ¡Busy P – Musica Para Tu Autoradio lechestyle: The Local Firm BETA Knitted Sweater! Ed Banger Records founder and owner, and somewhat legendary former Daft Punk manager Busy P has put together a mixtape to celebrate his gigs at Ibiza this summer. The mixtape is a great compilation of fresh electronic music and hip-hop, I’m impressed that he chose to include Sixteen by Rick Ross and André 3000 for the end of the tape. Fall is soon around the corner and you’ll need to gear up with a warmer wardrobe. 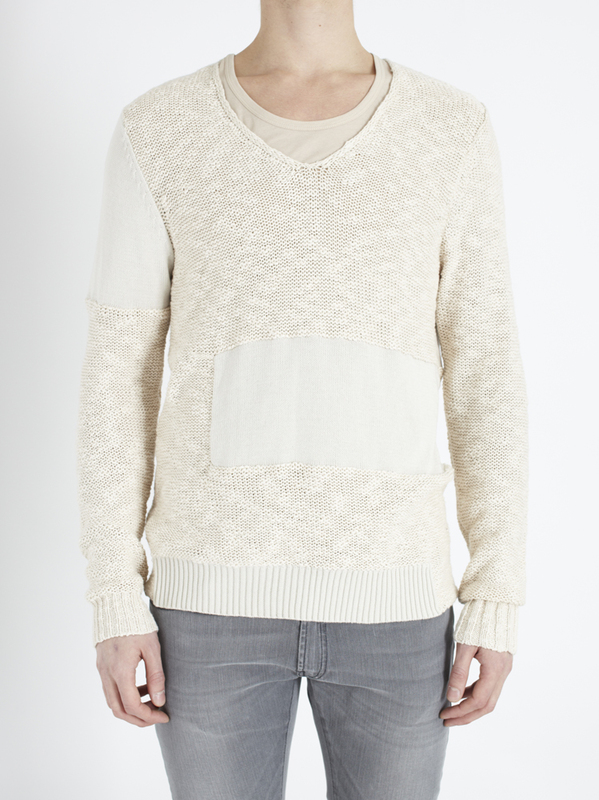 Here is a nice roughly knitted white sweater with a deep v-neck by Swedish fashion brand The Local Firm. lechemusic: ¡Jonas Rathsman – July 2012 mixtape lechestyle: Cheap Monday Dusty Orange Chinos! Jonas Rathsman out of French Express, has created a new mixtape full of deep house goodies. Take the opportunity to download it for free below. Orange has been a great color this summer. 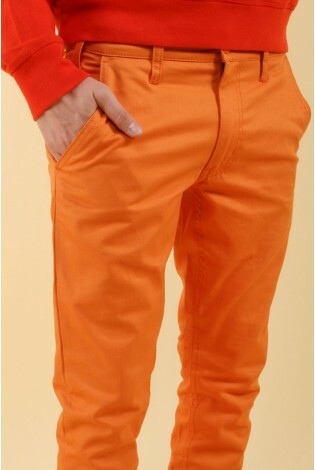 Here is a nice pair of chinos by favorite brand Cheap Monday. A winning combination is to couple them with a sky blue shirt and cognac colored dress shoes. lechemusic: ¡Tesla Boy Bedroom June mixtape lechestyle: Ralph Lauren Black Label Beige Suit! Russian electronic music producer Tesla Boy is next in line with a great warm weather mixtape. Full of loungy disco will make it a perfect companion for the beach, the soundtrack for your next garden or terrace party, or for summer daydreaming in general. 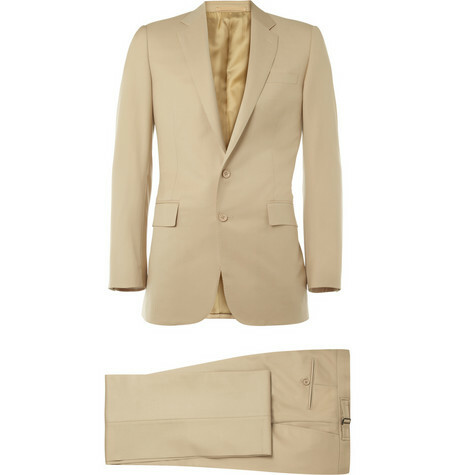 A beige suit should be found in every man’s closet. Compatible with a mix of shirts, ties, and shoes, beige is probably the most versatile color alongside grey. Here’s a perfect example by Ralph Lauren Black Label. lechemusic: ¡Zimmer – Sage Paradis (May Tape) lechestyle: Brooks Brothers green stripes shirt! Perfect mixtape by Zimmer again. Full of loungy fresh tones from this spring, expect to hear a lot of familiar nu disco. Simply astonishing, download now and save for life. Crispy shirt by classic British brand Brooks Brothers. Not that much light green shirts out there, which is exactly why i love it. lechemusic: ¡Trujillo May 2012 mixtape lechestyle: Persol 714! Venezuelan producer Trujillo released his May mixtape yesteday on soundcloud. It’s filled with smooth nu disco vibes that will put a secure smile on your face. I decided to post Persol’s classic 714 sunglasses as well as they are just too nice. A Steve McQueen favorite that recently got re-released by the brand. lechemusic: ¡Lancelot – KnightTime Mix 3! Australian record spinner and producer Lancelot has published a fresh indie dance mixtape. It contains many of my personal favorites such as Perseus and Tensnake. I love the last track by Adana Twins that samples The Doors’ People Are Strange. Copy Jude Law’s relaxed look by combining a grey blazer with jeans and sneakers.